This publication is not just a travel photography book of out of the ordinary images, narratives and insights. It is a travel odyssey of one man, filled with a genuine wanderlust and an insatiable curiosity for searching, exploring and experiencing new and different getaway places around the world. Compared to the range of travel photography books featuring compilations from different writers and photographers, Beyond the Ordinary is a personal journey documenting the journeys, expeditions and ultimate travel experiences across 65 countries, captured through the lens of a single camera. 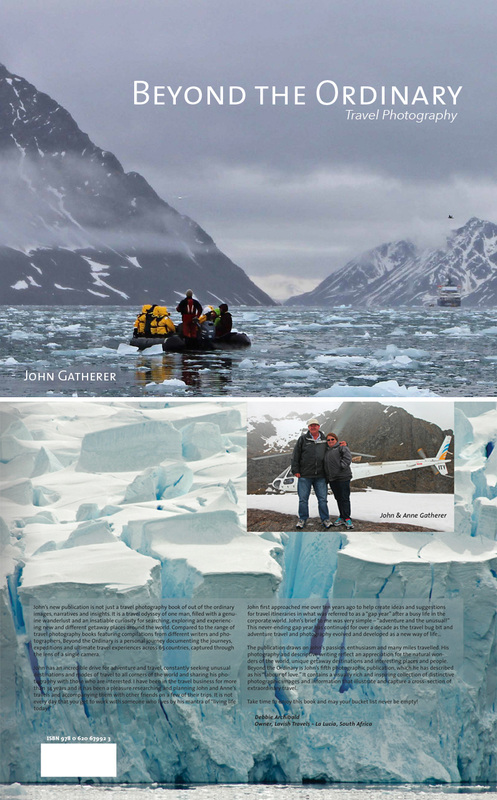 The publication draws on John’s passion, enthusiasm and many miles travelled. His photography and descriptive writing reflect an appreciation for the natural wonders of the world, unique getaway destinations and interesting places and people. Beyond the Ordinary is John’s fifth photographic publication, which he has described as his “labour of love.” It contains a visually rich and inspiring collection of distinctive photographic images and information that illustrate and capture a cross- section of extraordinary travel. Take time to enjoy this book and may your bucket list never be empty!